ATS's 6-Channel Back Booth expands on our standard upholstered booth to include back stitching dividing the back vertically into six panels. 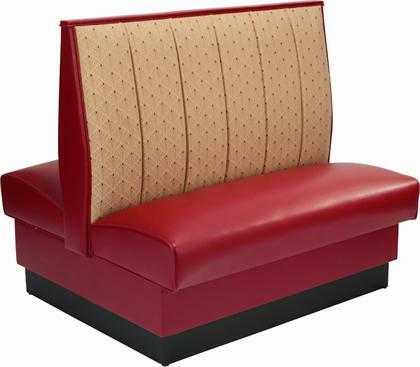 As with all ATS booths, it includes ATS' heavy-duty hardwood frame, reinforced with glued corner blocks, removable sinuous spring seat with cross-connecting links, 4 3/4 high vinyl kick base in a proven design outlasting competitive offerings. Floor to seat top average height is 18". Select Back Height 36" 42" 48"